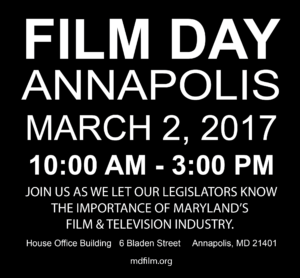 Join us in Annapolis to take the message directly to your legislators on the importance of the Film and television Industry in Maryland! It makes a difference when your representatives in the Senate and House of Delegates hear directly from their constituents as to how we are affected by the state’s current incentive program. We need you to tell them how having these productions have positively affected your life and what it would mean to have more work in the State. At 1:00pm, the Education and Economic Development Subcommittee hearing on the Department of Commerce budget will take place in the same building. We will have the ability to attend and show that we care about our industry. Even if you’re only able to attend for a few hours, your presence will make a difference! 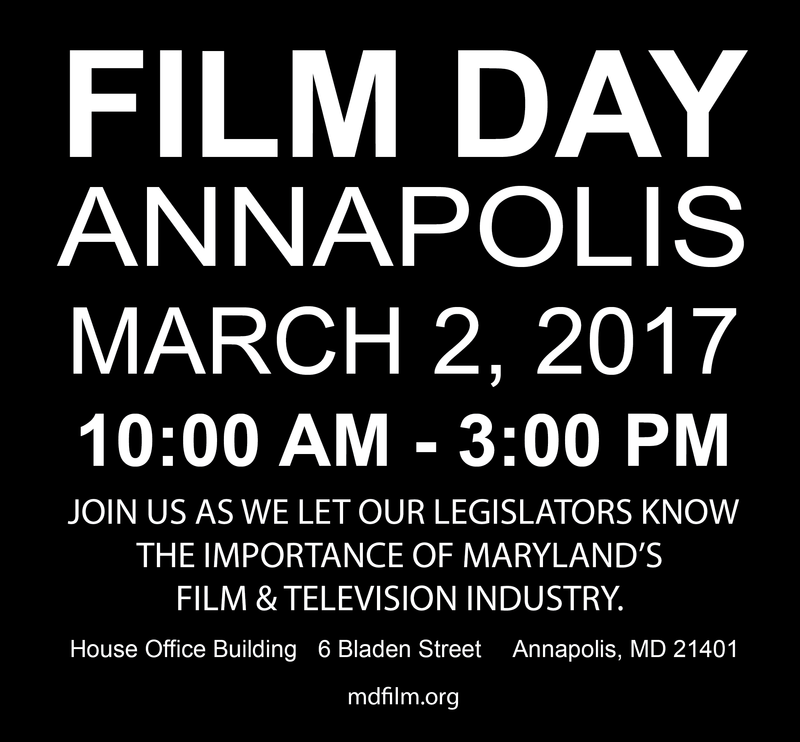 Please join us in Annapolis on March 2nd and show your support for the industry that supports us!